Interior demolition of 109 Montgomery St. between Washington and Franklin avenues in Crown Heights began this week. The property will be replaced by a 12-story residential apartment building. 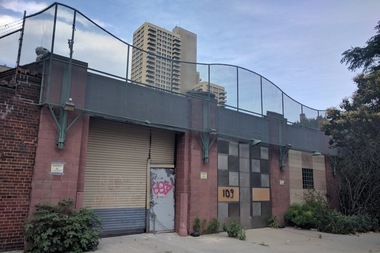 CROWN HEIGHTS — Demolition has begun on a former Brooklyn Botanic Garden building sold last year for nearly $25 million to developers planning a 12-story residential project on the site, building records show. 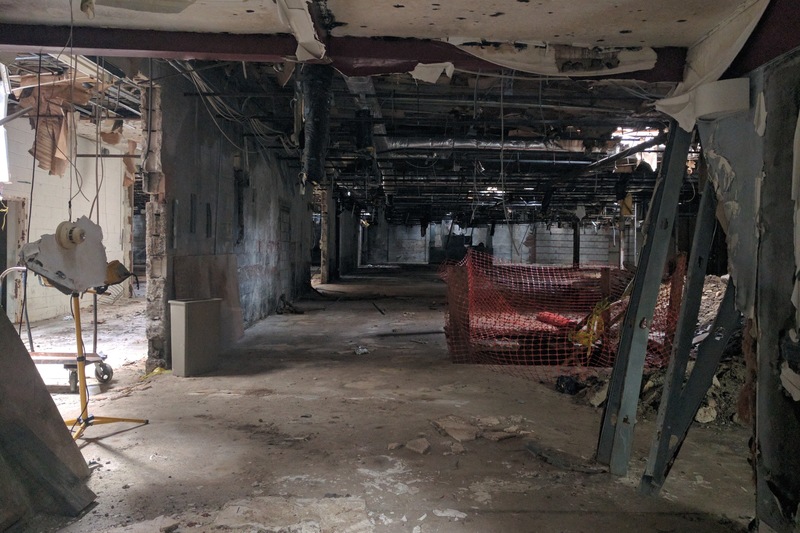 Workers have started tearing down the one-story building at 109 Montgomery St. after the city approved demolition permits at the site on June 15, Department of Buildings records show. The garden sold the Crown Heights property, which it had owned since 1989, last June for $24.5 million to “109 Montgomery LLC,” deeds show. A residential building with 162 units will rise in its place, according to the DUMBO-based developers from LIVWRK who are building the project with partners at First Market Properties. “The way we look at the project is really spending a lot of time and effort on design and development to create a beautiful product that fits well into the landscape,” he said. The plan also includes on-site parking for 72 vehicles, he said. Area residents can expect to see construction of the building begin on the site in the late summer, he said.